Tired of looking at less than stellar grass every day? Give us a call at (352) 505-3411 and we can provide you with an estimate to install new sod on your property. Gainesville Lawnscaping offers several varieties of sod in Gainesville, with the most popular being Classic Saint Augustine, Bitter Blue Saint Augustine, Bermuda, and Bahia. We offer sod options for full sun, partial sun, and mostly shaded areas. 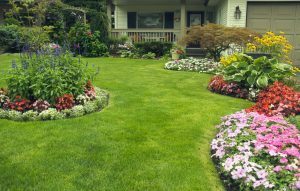 Our trained staff will remove your current grass and weeds, prepare and level the soil, and install the new sod for you.